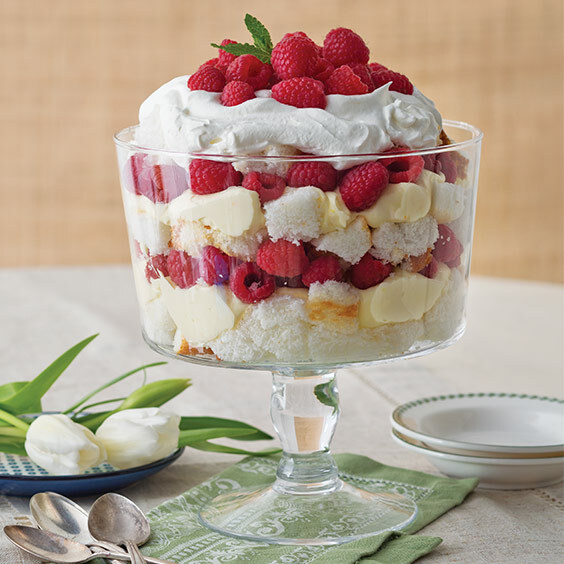 Layered angel food cake cubes and fresh fruit make this Raspberry and Orange Cream Trifle a sweet delight. In a 3-quart saucepan, whisk together granulated sugar and cornstarch; whisk in orange juice until smooth. Cook over medium heat, whisking constantly, until hot. In a heatproof bowl, whisk together egg yolks. Whisking constantly, slowly pour one-fourth of hot orange mixture into yolks. Whisk egg mixture into remaining orange mixture. Cook, whisking constantly, until thickened, 10 to 12 minutes. Remove from heat, and whisk in butter and zest until melted. Pour mixture into a large heatproof bowl, and cover with plastic wrap, pressing directly on surface to prevent a skin from forming. Refrigerate until thick and cold, about 4 hours. In a large bowl, beat cream and confectioners’ sugar with a mixer at medium-high speed until soft peaks form. 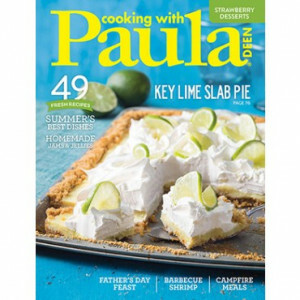 Reserve 1½ cups whipped cream; fold remaining cream into orange curd until well combined. In a trifle dish, layer one-third of cake, half of curd mixture, and one-third of raspberries. Repeat layers once. Top with remaining cake, reserved whipped cream, and remaining raspberries. Garnish with mint, if desired.